The Ocean Club Pacifica Counter Height furniture is one set in a larger collection of Ocean Club Pacifica furniture. Each set, including deep seating, bar height, dining and more, matches with Ocean Club Pacifica, as they all feature a similar design and construction. 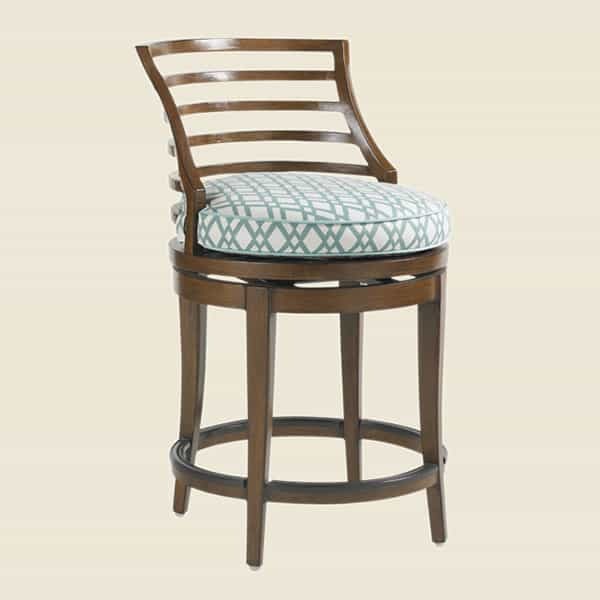 The Counter Height furniture features the Ocean Club Pacifica signature horizontal lines, which are featured prominently on the supportive seatback. The seat sits on a convenient swivel, and is made superbly comfortable with the high-density cushion. The cushion is durable and plush, and is trademarked as a WeatherGuard cushion for its superior resilience in outdoor settings. The cushion is wrapped in an all-weather fabric that is made to stay pristine after exposure to UV, wind, rain, and more. There is a huge range of patterns and designs to choose from in the Tommy Bahama fabric lineup. 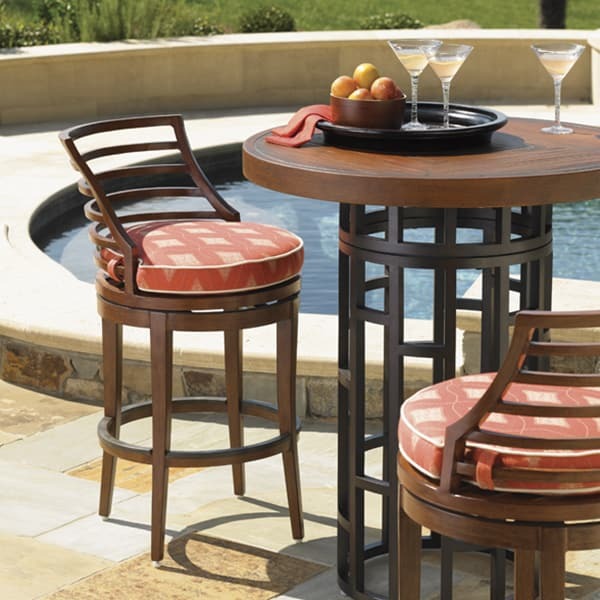 Customize the Ocean Club Pacifica Counter Height furniture to integrate perfectly into your backyard!